Manual or automatic device for stack tilting. The roller conveyors for loading on and off the stacks are installed on the barrel, which also has a pneumatic system to keep the upper roller well pressed on the stack while rotating; a lateral adjustable and motorized support is also set on the barrel. 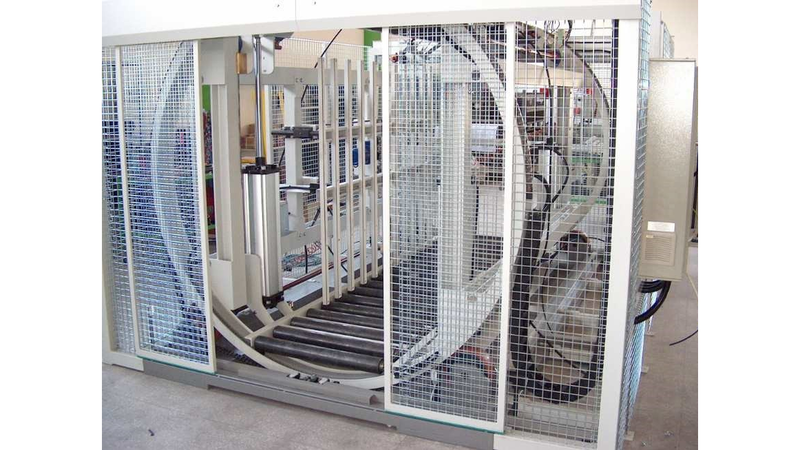 An electro mechanic systems makes the barrel rotate and it is composed by a chain rotating control, inverter equipped.